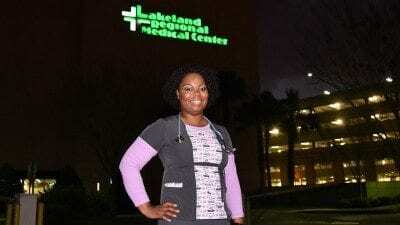 Thank you for your interest in the Associate of Science (AS) Respiratory Care Program at Polk State College. Respiratory therapists (RT) work with patients who have a variety of heart and/or lung disorders. The RT is an integral member of the medical team and serves as a life-support specialist as well as performing a variety of therapeutic, diagnostic, and patient management duties. The Respiratory Therapist provides direct patient care and is the Allied Health expert in the treatment of cardiopulmonary disorders. Individuals who choose this career must enjoy working with people and also must be sensitive to the psychosocial and physical needs of the patient. The RT must be able to follow instructions and work well as a team member. 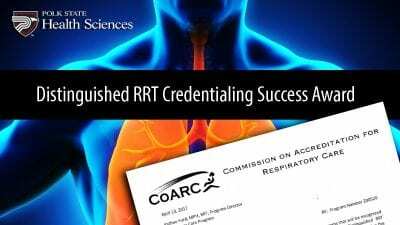 Graduates of the program are eligible for credentialing by the National Board for Respiratory Care (NBRC) and for licensure in the state of Florida. The Respiratory Care program is a selective-admission, limited-access program. The program starts a new class once per year in the fall. Please contact me via the provided email and/or phone information for an application or for any concerns.